Note: Thank you to first year contributor J.R. Dawson for providing me with these questions! How does your residency work and how it is paced? Seton Hill University’s Writing Popular Fiction program (#SHUWPF) operates with two residencies a year – January and June. Our program is 2.5 years long. Six residencies and five ‘college terms’. Students start with a residency (where they are labeled as ONEs) and they end with a residency (where they are labeled SIXs). Our residencies are broken up into three-hour blocks in the morning and the afternoon. The first morning the three-hour block is broken in half. The first 1.5 hours is a mixed class (meaning anyone from any class in the program) where we talk about the Common Reading for the residency. This is a book that all students and faculty read and discuss as a group. The genre of the book and the title of the book are picked at the prior residency. This January was mystery and June 2015 is a YA book. The students who most recently took the Teaching Popular Fiction class (the class taken in the fourth term of the program) make up the prompts for the book discussion. The second half of the three hours students are grouped with their class and have a discussion based upon where they are in the program. In the afternoon of the first day we attend our first module—a three hour class. Over the course of the five days of residency, students attend FIVE of these classes. ONEs and TWOs have required classes they must take as foundation classes. THREEs, FOURs, FIVEs, and SIXs are allowed to choose which modules to take but even those must fulfill genre requirements. My genres are listed as Urban Fantasy and Paranormal Romance—so in order to fulfill my module requirements I must take four modules in my genre, one module in another genre, two modules in general writing topics, and then nine modules in any category. There are a few required modules: Business of Writing (which is exactly what it sounds like, the business market part of our field). Marketing and Current Trends in the specific genre the student writes in. For the next three days we are either in a three-hour module or in Writing Critique workshops. Prior to the start of residency, all students submit 10 pages/3000 words to be used during the workshops. They are broken down by genre and the classes are led by our mentors/professors. This is the time when our writing is given a thorough looking over by 8-10 students and the mentor leading the discussion. It is a time when students can send in something they are experimenting with, part of their thesis that has been troubling them, short stories, or any other writings that fit the length requirement. It is a safe and helpful time for the students to really get a ton of feedback about what they are doing— good and not so good. During a student’s residency where they are labeled FIVE they must teach a module—this is the residency immediately following their Teaching Popular Fiction class, so it is a continuation and a reaffirmation of what they have learned. SIX students must read from their completed/market ready book before the mentors they have had in the program and students. They are questioned after they do their reading by their mentors and then by audience members. This is the thesis defense. What are you expected to do for each of your assignments with your mentor(s)? During residency, we meet for an hour with our mentors near the beginning. We set out the goals for the term and sign our contracts. Most terms it’s 30 pages each month turned into the mentor and the email critique group the students are assigned to. We are also assigned a craft book to read that usually deals with a specific issue or problem that the student is having in their writing. How do you stay in contact with your mentor and your classmates during the semester? How do you work with them when you aren’t face to face? My mentor is amazing at line edits and writing structural items, so my critique partners are looking at my story items—plot, characters, flow of the theme, etc. Because I am at the point in the program I am right now, I’ve been assigned a book on revising. We stay in contact by email and phone. We also have a HUGE FB group for the program (and all of our alums), individual groups for the genres, and individual groups for classes. There are also program wide chats we must attend twice a term—hour-long chats with several ‘rooms’ open with different topics and themes. Starting the month after residency (February and July) we have a set amount of pages we email to our mentors and our email critique group. The critique group is mixed from any class and there are usually three, sometimes four, students assigned to a group. The members are responsible for reading the pages each member turned in for the month and critiquing/editing them. Different groups have different requests for feedback. Why did you choose low-res vs. going to a full-res? I applied to full residency programs and low residency programs. I was accepted at three full residency programs and two low residency ones. I am a single mother of a boy with Autism. My support system for him (those I would need to rely on and depend on while I was attending school) are here. It was hard to turn down full residency programs, at first. The other low residency program was one that I scrutinized closely but there was something about how they viewed what they considered spec fiction or experimental fiction. It was ‘allowed’ but not necessarily encouraged. Did the option to study Popular Fiction at Seton Hill play a part in your decision to attend? Why or why not? The program at SHU used to be an MA program. But the MA in creative writing is not the terminal degree. So in order to make it terminal and to open more opportunities for our students the program was lengthened and a teaching component was added. Those two items allowed the ‘F’ to be added and turned it into a terminal degree program. The longer I looked at SHU the more I knew it would be home. I could study the writing I wanted to produce. The program has mentors AND students who are award winners in the program—RITAs, Stokers, and others from a multitude of places. The program doesn’t just ‘talk’ about popular fiction; they practice it, they push it, we live, breathe and sleep it. We have NYT best sellers as students and teachers. We have people who have had television shows made out of their books. We have folks who sit on top of the Amazon and Barnes and Noble’s lists. We don’t just talk about writing; we write, we publish, and we do it all again. What do you do between school terms? In between the residencies, we take an online class during the regular college term. For the first three terms the classes are Readings in the Genre (RIGs) (Romance, Mystery, Horror, YA/Childrens), and Science Fiction/Fantasy. We pick the genre class based on what are thesis (our book) is or genres we are interested in. My first term I took Classics of Science Fiction. My second term I took Subgenres of Romance. My third term I took Classics of Fantasy. My thesis/book is Urban Fantasy with a strong mystery and romance thread. The classics of SF/F were helpful for me to know the history of my genre and the romance class dealt heavily with the type of books I am writing from authors who are strong in this field. authors may find ourselves in. The last term class is Writing about Popular Fiction. This class is to help the students set up their author platforms and to really ground themselves in the knowledge that this is their profession, their job and to help them navigate our field in the best way possible. This class is almost like an apprenticeship scenario—it is led by one of the directors of our program. 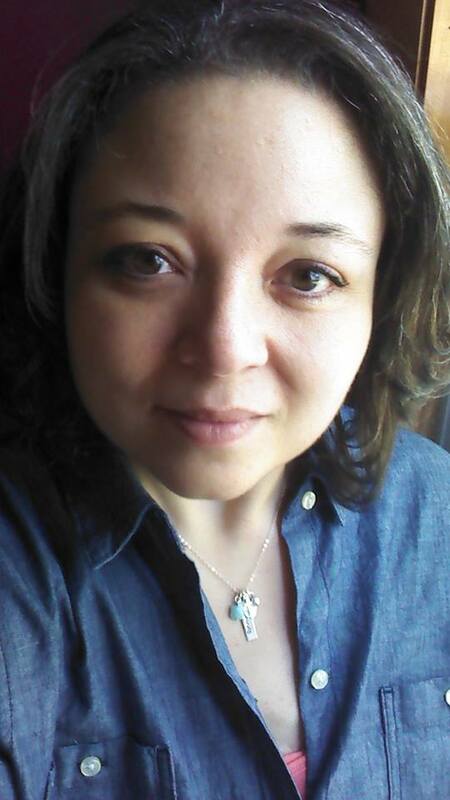 Heather Houston is current graduate student at Seton Hill University in the writing popular fiction program. Her current work in progress is an Urban Fantasy novel. She received her undergraduate degree from Southern New Hampshire University, a Bachelor of Arts in creative writing with a specialization in fiction. Heather splits her time between the fictional world her characters reside and the amazing world her young son with autism introduces her to everyday.